I have missed writing to you. I have written many of the blog posts on this website, and haven't been in this space since the summer of 2016. I've been in the background here at the TRC, and I have to say, I'm ready to have a voice again. To start this new era, I want to talk about Section 8 vouchers. These vouchers, known as housing choice vouchers to those who wish to be politically correct, allow a low-income person or family to pay 30ish% of their income as rent to a landlord, and a housing authority pays the rest. It's a great program, when it works - tenants can live where they wish, landlords have guaranteed payments from a housing authority. Win-win, right? But there are many flaws - there are never enough vouchers for all the people that really need them, and the governing policies can be pretty opaque. Additionally, and weirdly, it seems like landlords have super different perspectives on these vouchers. Some say: NEVER (hint: not super legal in Dane County). Some say: ALL I WANT IS TO MAKE HOUSING AVAILABLE TO LOW INCOME PEOPLE. Some say: I DON'T HAVE ENOUGH INFORMATION. (All are emphatic). So, this one's for you, guys. I was lucky enough to get some guidance from the City of Madison's Marketing Outreach Coordinator, and an attorney at Legal Action, and I'd love to share the fruits of my labors. This week's post is for landlords. In the coming weeks, we'll address Section 8 for tenants, and Section 8 terminations. Application: A tenant who possesses a Section 8 voucher applies to live in your rental unit. Screening: You screen the tenant, and decide whether or not to rent them the unit. Please note: in Dane Co, the reason that you deny the tenant cannot be due to them having a Section 8 voucher (due to DCO 31.03(12a)). Note: If you want to verify the voucher, you can ask to see a copy of it (it should look like this, only filled out). If you want to verify how much the tenant is authorized to spend on a unit, you can call the housing authority who issued the voucher. Acceptance! And we all do a happy dance. The landlords dances because they have guaranteed moola, and a tenant who really wants the home. The tenant because odds are good that they've been through a lot to get to that point, if they're standing there holding that voucher. Fill out a form: Once a tenant is approved, they you need to sign a form saying that you plan to rent to them. Generally, that form (called a "request for tenancy approval form" - HUD link here) needs to be submitted within 60 Days of receiving their voucher form. They can get an extension, but if the tenants go over the time in which they are allowed to submit the form, the tenant won't get the rent assistance, which is not a good outcome for anyone. The Housing Authority screens your lease. A lease is not allowed to conflict with HUD rules, and they look for that upfront. The Housing Authority verifies the amount of rent and tenant-paid utilities, to ensure that the amounts are within the rent caps that the tenants are allowed to spend. Tenants can't just choose any old place - they have to pick a spot that is within their allowed rent. An inspector is sent to the rental unit. For some reason, this seems to be an area of a lot of anxiety for some landlords, and never ends up being as worrisome in real life. 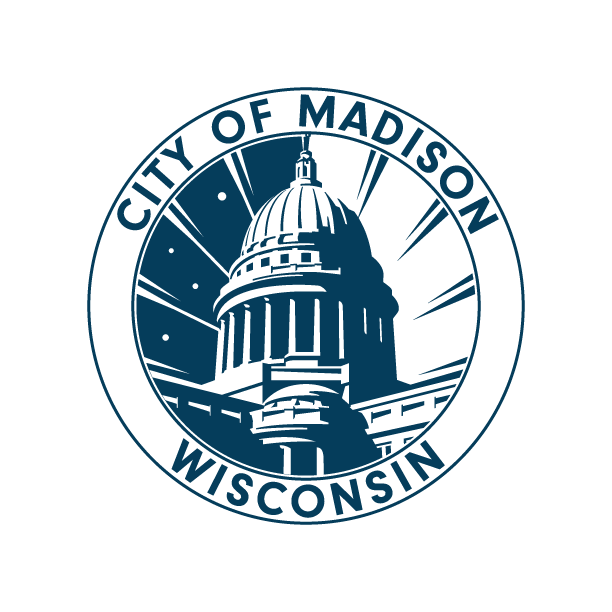 In the City of Madison, that inspector does an inspection and rent comparison - the price of the rental can't vary wildly from other comparable units in the area, or else it won't pass the rent comparison. The basic document explaining the inspection process is HUD's "A Good Place to Live!" At the TRC, we don't see that housing authority inspectors are anywhere as meticulous as regular building inspectors, although I imagine each inspector is different. They look for basic health and safety needs to be met by the home, and if the inspection fails, the landlord will be given time to fix it. Here is the form that HUD uses to assess properties. Sign the lease! You sign your regular lease with the tenant. You pick the rules and regulations that you set for the unit, and you have a normal tenant-landlord relationship, with normal tenant-landlord laws applying to the situation. Note: the housing authorities don't pay security deposits, so it's likely the tenant will need help with this from another agency, or will ask to work out a payment plan with you. Tenant takes possession and HAP contract signed: When the tenant moves in, you sign the contract with the housing authority (a HAP contract basically says that HUD will pay the landlord and the landlord will accept that payment). The tenant signs a contract with the housing authority. You get paid automatically each month, while chipping away at a nationwide lack of affordable housing, and making the world a better place! Dear Landlords, if you've made it this far in this blog post, then you are my kind of people. Thanks for being here. I want to tell you some things that I think. Finding housing is really difficult, and it's hard if you're poor, and it's even harder if you've been poor your whole life, and harder still if your parents were poor. The poorer the people around you are, the less of a social safety net is available. Finding housing is incredibly hard if you're black (and thus prone to more jailtime for similar crimes, which more frequently occur when you are desperate to keep your family housed). In Madison, all other things being equal, evictions are thousands of times more likely for single mothers, who are already stretched thin. Probably, the tenant in front of you, applying for housing with that Section 8 voucher, is desperate to find a home. Their life has likely been colored by poverty – trying to escape homelessness and housing instability and failing; wishing away hunger; knowing that the bad choices will make the situation worse but feeling like sometimes it’s the only option. Life is hard when you're poor. When a tenant gets a Section 8 voucher, they've likely been on a waiting list for a very long time (it's at least 8 years in Madison), and probably had to wait a while before that, to even get on the waiting list (in Madison, you get on the waiting list by lottery, in the few days that they open it up every couple of years). If a landlord chooses to rent to someone with a Section 8 voucher, they make a tangible difference in the world around them. While I recognize that there are many reasons you could find to deny housing to a voucher holder, I hope you will see that those kinds of reasons tend to deprive folks with few opportunities and reward those who have known only privilege. In making a choice to rent to a Section 8 holder, you are making a difference. And! It's easy money! You get direct deposits straight from a housing authority! The income is steady, and through that choice, you start to make the world a better place. So, how do you do it? Call your local housing authority, and say that you'd like to rent to households with Section 8 vouchers. They'll be so glad you called. Sometimes, landlords feel like they can't rent to folks with Section 8 vouchers because those tenants don't pass all their screening criteria. Now, a landlord can stick to that criteria. But. A landlord can also have multi-tier criteria, if they want to be more open with their housing, and make a home available to someone who isn't necessarily the perfect tenant. Second tier applicant: poor credit (but no money owed to a past landlord), poor income (but supplemented by a subsidy), great references, and a cosigner. [See what I did there? I added a cosigner to give you added security on taking that chance]. Third tier applicant: poor credit (but no money owed to a past landlord), poor income (but supplemented by a subsidy), medium references (but problematic situations only happened more than 2 years ago, and great personal references), a cosigner, and increased security deposit that you're willing to take in installments. Why should you do this? Because you're reading this post, so clearly you're an amazing person. But also, it's good to write these criteria down, and really consider them, so you don't open yourself up to claims of discrimination. Because, you're not trying to be discriminatory! It's no fun if it accidentally comes out that way. To get some help, call the Fair Housing Council. They won't get you in trouble - they'll help you think it through and develop criteria that is really safe and really fair. This is complicated stuff! But your housing authority will help. Call them up (especially the Marketing Outreach Coordinator at the CDA, if you're in Madison), and they'll work really hard to answer your questions. Hi! Did you know that we aren't attorneys here at the TRC? And this isn't legal advice, either. If what we've written doesn't sound right to you, consult with someone you trust. A list of housing attorneys is available here. Also, much of this information is totally true in Madison, but might be a little different in the rest of the state. For information specific to your area, check with your local housing authority.